LONDON (AFP).- Nearly 150 years after the Franco-Prussian War prompted artists to flee Paris, the works of Claude Monet and other Impressionists in London are to go on display in the British capital. 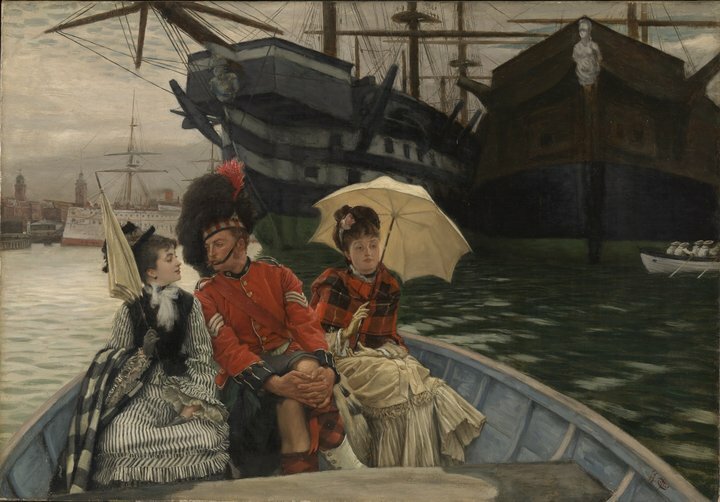 Finding freedom in London after 1870, artists including Camille Pissarro, James Tissot and Jules Dalou created a unique portrait of the city and British society. More than 100 of the Impressionists’ paintings and sculptures during the period until 1904 form a new exhibition opening Thursday at Tate Britain. “There was a long tradition in London of welcoming political refugees, but the main draw of London, for these artists, was the importance of the art market,” said curator Caroline Corbeau-Parsons. Corbeau-Parsons pointed to Monet’s “Hyde Park” as one notable example. From views of the River Thames to scenes of daily life, with cricket matches and more rural scenes in the London suburbs, the Impressionists drew attention to contemporary subjects deemed too mundane across the Channel. “I really think that the originality of Monet and Pissarro is their trying to depict London as they saw it,” said Corbeau-Parsons — a different approach to that of other Victorian painters. “From 1870, Monet was really interested in the representation of the fog, even though it’s something which is very difficult to produce in art,” she added. The artist’s efforts can be seen in six canvases from his Houses of Parliament series, painted between 1903 and 1904 and brought together from different museums for the Tate Britain show. The exhibition also highlights the welcoming creative network which the exiled artists relied on in London. “From an artistic point of view, we try to show that there really were very strong links,” Corbeau-Parsons said. The curator drew on Alphonse Legros, who had already established himself in London and became a key contact and support of new arrivals such as sculptor Jules Dalou. Monet, who crossed the Channel in 1870 to avoid conscription, benefitted greatly from meeting fellow exiled artist Charles-Francois Daubigny, who introduced him to French art dealer Paul Durand-Ruel. The encounter would play an important role in the career of Monet, whose first stay in London was marked by significant financial difficulty. “He didn’t have enough money to buy painting materials. In the space of seven or eight months, he only made six paintings, which is very little for him,” Corbeau-Parsons said. The small collection includes “Meditation, Mrs Monet Sitting on a Sofa”, a portrait of Monet’s wife Camille which Corbeau-Parsons said expresses a sense of depression experienced at the time by the artist. But like many of the artists who fled France, Monet’s fortunes turned around. By the turn of the century, he was staying at London’s upmarket Savoy Hotel and working on his Thames series. “Impressionists in London: French Artists in Exile 1870-1904” opens on November 2 and runs until May 7, 2018, before transferring to the Petit Palais in Paris.